Serious accidents – such as auto crashes, train derailments, and boating accidents – happen far too frequently. However, when liability for these incidents has to be determined, even the most simple-appearing accident can present complicated questions regarding liability and negligence. If you are injured accidentally in the state of Illinois because someone else was negligent, in a traffic crash or any other accident, you have the right to be reimbursed for your medical care and other expenses, but how can you prove that you are entitled to the compensation you need? 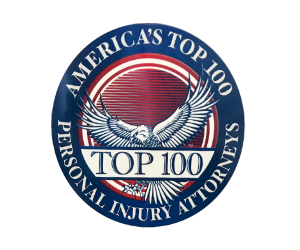 Can a Chicago personal injury attorney help? In many cases, you may also need the help of an accident reconstruction expert who can explain exactly what happened, who was at fault, and why you deserve compensation. Accident reconstruction is the scientific work of investigating, assessing, and reaching conclusions about the causes of an accident. Accident reconstruction experts recreate an accident scenario in order to answer questions about negligence and liability. The expert can then explain to jurors, step-by-step, what happened and how it happened. In a personal injury trial, an accident reconstruction specialist’s testimony and expert opinion can make all the difference. IN WHAT OTHER WAYS ARE ACCIDENT RECONSTRUCTION RESULTS USED? Accident reconstruction results are also used to develop recommendations for making streets and vehicles safer. Since 1991, national guidelines for the training of accident reconstruction experts have been established by the Accreditation Commission for Traffic Accident Reconstruction. Accident reconstruction experts borrow principles from physics, math, engineering, and other sciences to analyze and reconstruct accidents. This allows them to testify regarding collision angles, speed, visibility, and other key factors in an accident. Accident reconstruction experts are frequently retained to investigate and testify about traffic collisions, but they also investigate construction accidents, train derailments, boating accidents, and a variety of other types of incidents that, for whatever reason, must be reconstructed. HOW CAN AN ACCIDENT RECONSTRUCTION SPECIALIST HELP YOU? HOW DO ACCIDENT RECONSTRUCTION SPECIALISTS DO THEIR WORK? It is always best if the reconstruction expert can begin work immediately or as soon as possible at the accident scene, because there is almost always critical evidence found there. The sooner that evidence can be secured, studied, and evaluated, the better. If the reconstruction expert is not retained immediately, he or she will determine if there are photographs or any video of the accident. An accident reconstruction specialist examines tire marks, road surfaces, dents, debris, airbag control modules, and any other pertinent evidence. IMMEDIATELY AFTER AN ACCIDENT, WHAT’S IMPORTANT FOR YOU TO DO? Usually, however, an expert is not retained immediately, so it’s imperative to gather and preserve whatever evidence can be preserved. If you are the person involved in an accident, take plenty of photographs. Photos are key evidence that often make the difference in a personal injury case. Accident reconstruction experts will also want to inspect thoroughly the interiors of the vehicles involved in an accident. Human blood, skin, and hair can provide key evidence regarding the occupants of a vehicle and their movements and positions at the moment of a collision. After compiling the available evidence, the reconstruction process begins. Knowing a vehicle’s speed at the time of impact is almost always critical in deciding which party has liability, so an expert has several methods to determine how fast the vehicles were traveling. WHAT OTHER FACTORS IN AN ACCIDENT ARE CONSIDERED? The weight of the vehicle, the type of road surface, and the energy that is transferred upon impact (which is typically measured by examining the damage to the other vehicle or other damaged property) are key factors in determining a vehicle’s speed. Experts will also study any skid marks, and if a vehicle impacted something like a tree or a utility pole, a specialist can determine a vehicle’s speed by calculating the normal breaking point of a tree, a utility pole, or any object with the same size and density. A “time distance analysis” can determine the amount of time the driver or drivers had to avoid an accident, and in some cases, this method can also indicate if a driver may have been inattentive or distracted in the moments before a crash. A qualified and experienced accident reconstruction specialist is also often able to testify regarding many of the other factors involved in an accident, including weather, lighting, visibility, and whether a driver had any warnings or indications that a crash was imminent. WHY IS A RECONSTRUCTION EXPERT’S TESTIMONY SO IMPORTANT? After analyzing all of these factors, a qualified accident reconstruction specialist should then be able to form an expert opinion regarding how the accident happened and who should be held legally accountable. The techniques used by an expert should be subject to peer review and based on accepted, reliable methods. A reconstruction expert’s opinion cannot be mere conjecture or speculation, and the expert must be able to articulate the findings clearly so that a jury fully understands. Today, accident reconstruction experts can take advantage of virtual reality technology, three-dimensional mapping, and other aids that can reconstruct an accident far better than the mere testimony of the accident’s principals and eyewitnesses. Accident reconstruction specialists are now testifying more frequently in personal injury trials, and most personal injury attorneys now work routinely with these experts. WILL A RECONSTRUCTION EXPERT BE NEEDED IN YOUR OWN CASE? If your personal injury attorney recommends retaining a reconstruction specialist for your own case, go with that recommendation. A reconstruction specialist can help you prove your claim and help you counter the arguments on the other side of your personal injury case. If you are injured because someone else was negligent in any kind of accident in Illinois – such as a traffic, boating, or construction accident – after you have obtained medical treatment, seek immediately the advice and representation of an experienced Chicago personal injury attorney. An attorney’s help is your right, and if you have been seriously injured, your health and your future could depend on it.